Women's Original Tall Wide Leg Wellington Boots is rated 3.0 out of 5 by 5. Because not one size fits all the Original Tall Wide Fit boot is the newest addition to the core collection. Allowing for a more comfortable fit, the boot measures 16mm wider on the calf than the Original Tall. 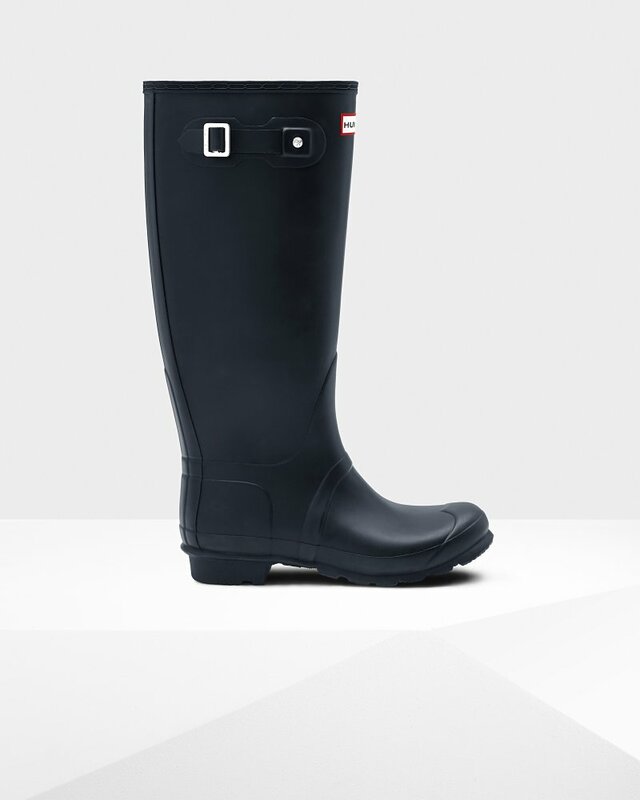 Handcrafted from 28 parts these iconic wellies lie at the heart of the Hunter Original brand.